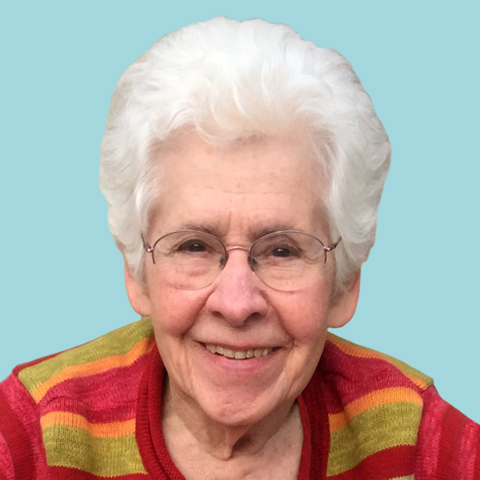 Barbara L. Galbraith 95, formerly of McDonald, died, Sunday, March 24, 2019. She was born November 10, 1923 in McDonald; a daughter of John and Harriet (Fayolle) Ceyrolles. Mrs. Galbraith was a graduate of McDonald High School. She worked as a pay clerk for Pittsburgh Coal, Midland Mine. On July 12, 1946 she married Donal M. Galbraith who died November 10, 2008. Barbara was a member of the McDonald Bridge Club and the McDonald Garden Club. Surviving are four sons, David J. ( Christine Bossi) MD. of Altoona, Matthew J. (Nancy) of Millvale, Steven R. (Wanda) of Mechanicsburg, and Barrett D. (Ramona) Galbraith of McDonald; a sister, Loretta Smith of Virginia; eight grandchildren, ten great-grandchildren and two great-great grandchildren. Deceased is a sister Norma Ceyrolles. All arrangements are private and entrusted to the nation Funeral Home Inc. 218 E. Lincoln Ave. McDonald, PA. 15057. Memorial contributions are suggested to the Heritage Public Library, 52 Fourth St., McDonald, PA. 15057.